My name is Kris Humphries. Everything’s been coming up Millhouse for me lately. I revitalized my brand through excellent play on the court of the basketball. I married the most famous woman in the world if you don’t count women who are famous for a reason. Then I realized that my marriage was a sham, which was a huge coup for me personally. My wife, Kimberly Kardashian, married me, Kris Humphries, as a publicity stunt. I am trying to say this plainly but I will try harder: I am so awesome that a celebrity used me as a stepping stone for her already wildly successful career. As a member of the New Jersey Nets, I turned my middling career around. I gave the great state of New Jersey two “contract years” in terms of production, even though you only need to do it once. Now the team is moving to Brooklyn, and I’m moving somewhere too. I don’t know where it will be just yet, but it doesn’t matter. This is my moment, you guys. I have over 919,000 Twitter followers. Some men leave their mark on the world through great societal deeds, or a severely offensive carbon footprint. I’m somewhere in the middle: Kris Humphries exposed the Kardashian family. 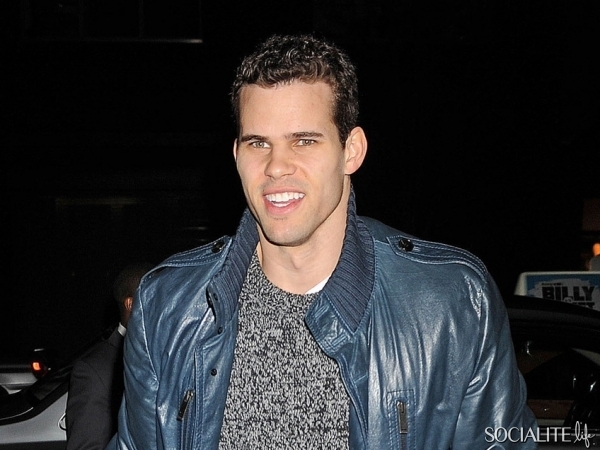 And now, Kris Humphries will break the Dwight Howard trade. I don’t think you need me to tell you how that went. This is my moment, you guys. Dudes who have moments don’t just sign one-year deals to play for the Cavs after not one, but two contract years. No, I will not go quietly into the good night. I was listening to the Rebecca Black album the other day and I knew that I deserved better. My girl was not hitting any of the notes but the lyrics resonated in the deepest parts of my soul. *If you were surprised to not see (K. Humphries) at the end of this post, then I am deeply sorry.